Hey guys, Jacqueline here! Last week I shared my completed powder room and a glimpse of what the process looks like for swapping out the hardware on the vanity. Although this is not the first time I’ve traded basic hardware for something much more beautiful, it goes to show even the smallest details can make a huge impact in a room. 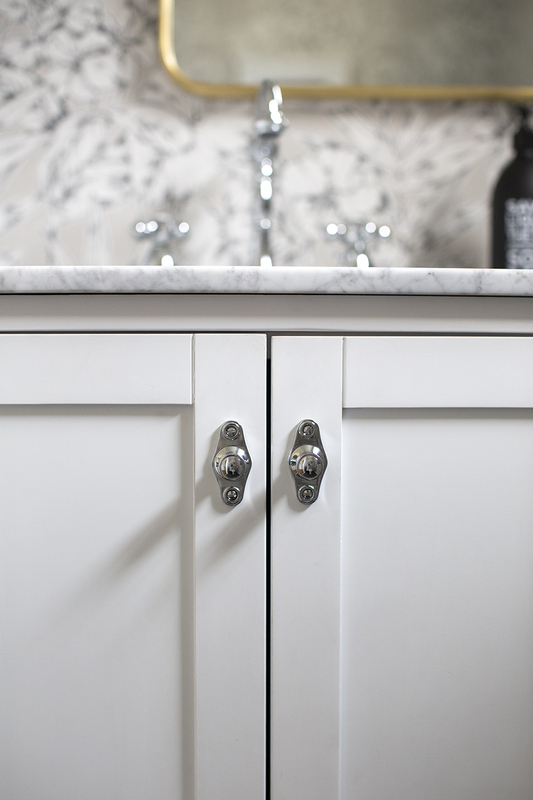 As promised, I’ve rounded up some of my favorite Rejuvenation hardware picks- including bar pulls, bin pulls, and cabinet knobs. They’re one of my go-to sources for hardware and have so many great options. 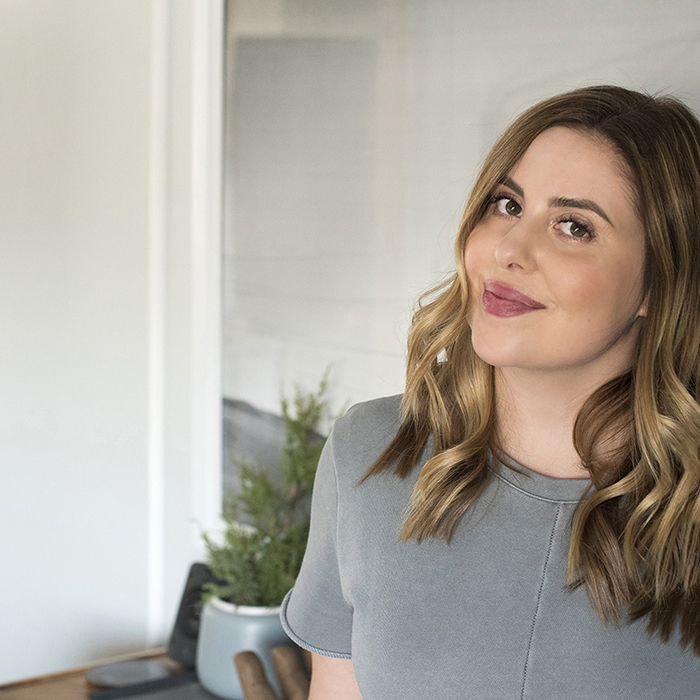 Click through to see my top choices! Most recently, I used the 6″ Tolson drawer pull (Number 6) in polished chrome on the vanity. Since the pulls were slightly longer than the existing hardware, I had to use wood filler to fill the holes, then sand and paint the drawer fronts prior to installing the new hardware. Sherwin-Williams is always very helpful in color matching the existing cabinetry making it super easy to paint. In Luca’s nursery (pictured above), I used the 3″ Mission drawer pull (Number 5) in “oil rubbed bronze” to update the hardware on his closet drawers. Those drawers came with cheap, white plastic hardware, so swapping them for a high contrast metal option make a huge difference. There are SO many amazing knobs in this roundup, I’m already plotting where I can add or swap hardware in my home. The tolson cabinet knobs (Number 6) used in the powder room are super unique and fun! I love the curvy backplate. I’m also digging Number 1, Number 2 (I can see this being used in a kid’s room or nursery), Number 8 and Number 9. Although Rejuvenation is one of my favorite sources for hardware, there are many beautiful options out there. I’d be curious to know…how many of you have changed cabinetry hardware before? Be sure to check out the complete guide to replacing cabinetry hardware if you plan to tackle a project like this one soon. Oh…and if you have any favorite resources, leave them in the comments below! I’m guilty of almost always swapping hardware and love finding new resources to add to the mix. Have a great day, everyone!